What are the advantages of buying a license longer than one year? You don't have to buy a new license every year and you don't have to worry if the price of a new license would increase after one year. What are the main modules included in the standard program? How much are the costs for the optional modules or features? 10-page invoicing feature - Free, included in new licenses issued after Jan 1, 2018. Previously, 60%. Auxiliary invoice module - Free, included in new licenses issued after Jan 1, 2018. Previously, 60%. Do you sell HyperLedger 7 with an unlimited term license? No, we don't. The advantage with our limited term license is that customers may upgrade for free during the term of the license, whereas other vendors may charge upgrade fees for newer versions. Does HyperLedger 7 support GST? Yes, HyperLedger 7 is GST-compliant. Does HyperLedger 7 support SST? Yes, HyperLedger 7 supports SST. The program is designed to easily switch to either GST, SST or no tax mode if the need arises. Can HyperLedger 7 be used to do full set accounts for multiple companies? Yes, with HyperLedger, you may create virtually unlimited number of ledgers, and each ledger may be used for storing one company's accounts for an accounting period. 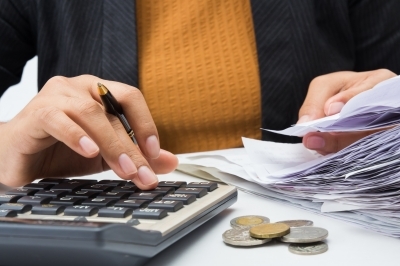 This is a particularly useful feature for those who run bookkeeping services. How many months of data can I keep in one ledger? There is no limit as to how many months of data may be kept in one ledger, although it is advisable that each ledger is used for storing one year of accounts. Can Hyperledger 7 be used in a multiuser environment? Yes. HyperLedger may be used in a multi-user network environment, provided that every user has a valid license to use it. For example, if 3 users need to use HyperLedger 7 at the same time, then you need to either buy a) 3 single-user licenses, or b) one 3-user license. What are the advantages and disadvantages of multiple single-user licenses compared to one multi-user license? A multi-user license is installed into a central server, so if that server breaks down, no one can use the software. Also, the server must be a fairly powerful to cater for multiple simultaneous access to it via remote desktop/windows client. With multiple single-user licenses, users may configure their program to use their own local hard disks, or to share a network harddisk over the Local Area Network (LAN). However, file-sharing via LAN, is slow and less reliable than the centralized, remote desktop/windows client approach. Is training included in the price of a license? No. Any kind of service provided may be subjected to a fee, especially if the service is conducted at the customer's place. We do not charge for most simple queries over the phone or e-mail. Must we buy direct from HYPERTECH PLT? No. You may buy the licenses from our dealers. Also, please call us to refer you to an authorized dealer, if you require on-site services, training, installation and troubleshooting. Most network multi-user environment would require the service of a dealer. I have just bought a 10-year license file. Why did the software shows that the license expires next year? We issue yearly licenses, even though you may have bought a 10-year license. That is because we provide you with an opportunity to change the location of your software to another computer, if you require it. Anyway, you may update your license one month before the expiry date by clicking "About" and then choose "Retrieve License From The Internet"
If I want to move my software to another computer, what do I need to do? Firstly, you need to install HyperLedger 7 on the new computer and then get the hard disk serial number of the new computer, by clicking "About" and then choose "Hard disk Serial Number". Then you need to fill in the Request For A Replacement License form, which you may get from the Support page. Then send the completed form and a RM50 fee to us and wait for our reply.